The Craig Widdison team has accepted with three runners to Albury on Saturday, October 28 with fine conditions forecast racing on a good (4), the rail position is +1 m the entire circuit. The first of the stable runners will enter in race two with Hardwood Harry to be joined by Nick Souquet to pilot in a maiden handicap over 1175m. Last time out the five-year-old gelding finished 11 of 12 in a 900m dash, beaten 10.1 lengths at Corowa, of his 3 career starts he’s best was when fresh so combining the let up with a pair of shades, hopefully, entice’s Hard Wood Harry to be a bit more competitive. Race three will see Bay Lane enter a 1400m maiden handicap at start number three with the four-year-old gelding to be joined by Kayla Nisbet jumping from barrier 12. Bay Lane was last seen competing at Albury in a maiden over 1175m, a fortnight ago finishing fifth of 12 on that occasion when handled by Simon Miller, after racing keenly early was steadied via the 700m and held ground to arrive 6.31 lengths behind the winner. Bay Lane returns to this track and with another run under the belt, will hopefully see a forward showing. Race 5 will see the competitive four-year-old gelding Cash Crisis compete at start number 6, 3rd up from a spell to be joined by Tahlia Hope, reducing 2kg of the 61.5 kg handicap jumping from barrier (1). Last time out Cash Crisis finished second of 11/1100 m a fortnight ago at the same venue in a BM 69 handicap. Cash Crisis is a speedy type who drops in class this time out, he’s drawn the 1 & based on the previous two outings should well and truly make a fist of this. 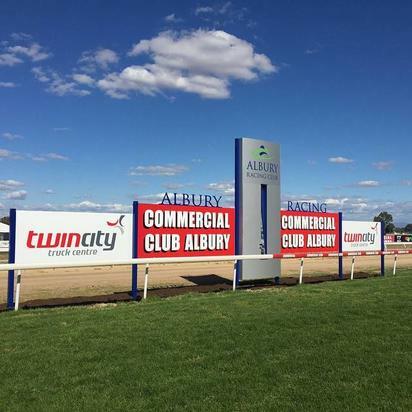 The meeting at Albury in Australia on Saturday 28th October consists of seven races ranging in distance from the 900 metre sprint in race one to the staying race over 1,600 metres in race six. Track conditions for the meeting are good 4 and a total prize purse of $140,000 is available from all races on the card. The Albury Day Surgery Maiden Plate (a set weight race over 900 metres) is the feature race of the day at 1:46pm, offering $20,000 in prize money for the horses taking part.